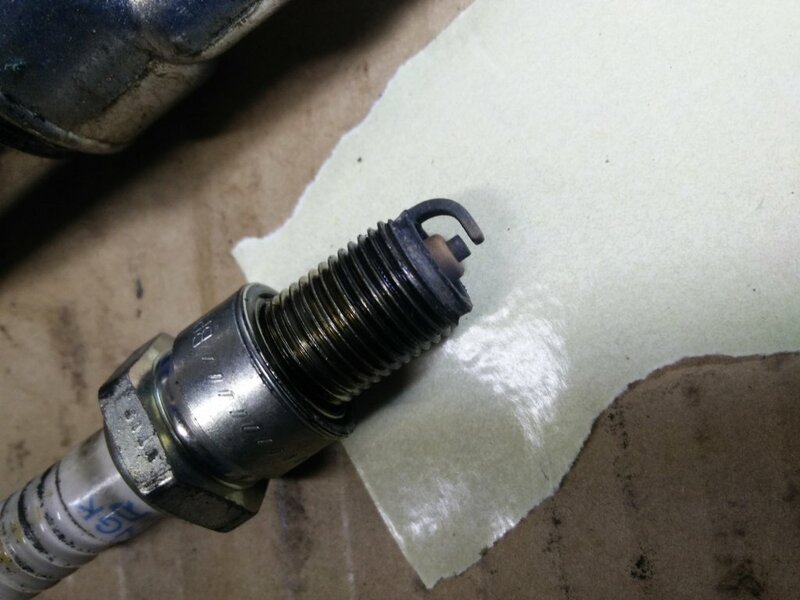 Some interesting stuff while doing headgasket. Doesn't detonation create burnt snickerdoodles? Give that monster a cookie! There's an obvious solution here. See if the marks on the head line up with the marks on the piston. If so, FOD! If not, det! My detonated pistons looked pitted and grainy, but maybe forged pistons damage differently? Same. The pictures I posted are all forged pistons. One CP, the others JE. 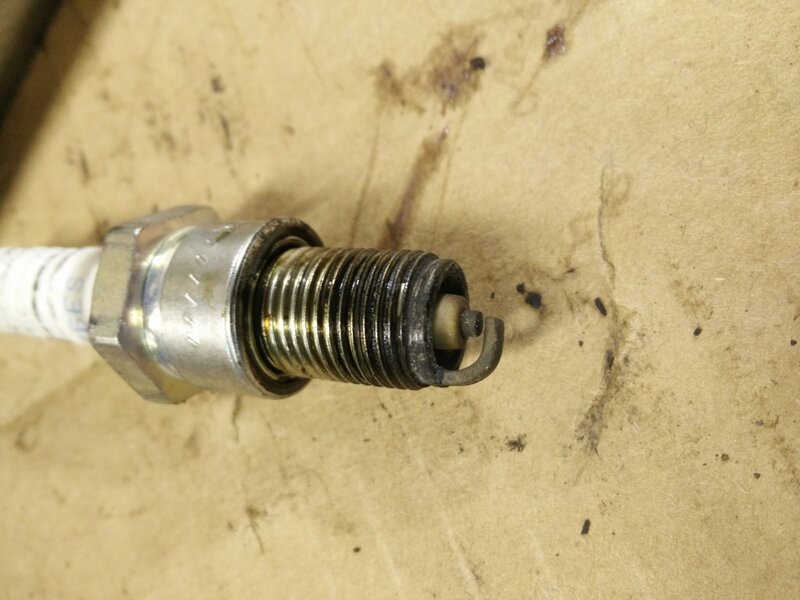 I know nothing about this but curious as to whether or not that spark plug hole had a helicoil repair to it. Has not been helicoiled. Going to check spark gap tomorrow (working late tonight). Think these we're ngk 6s? 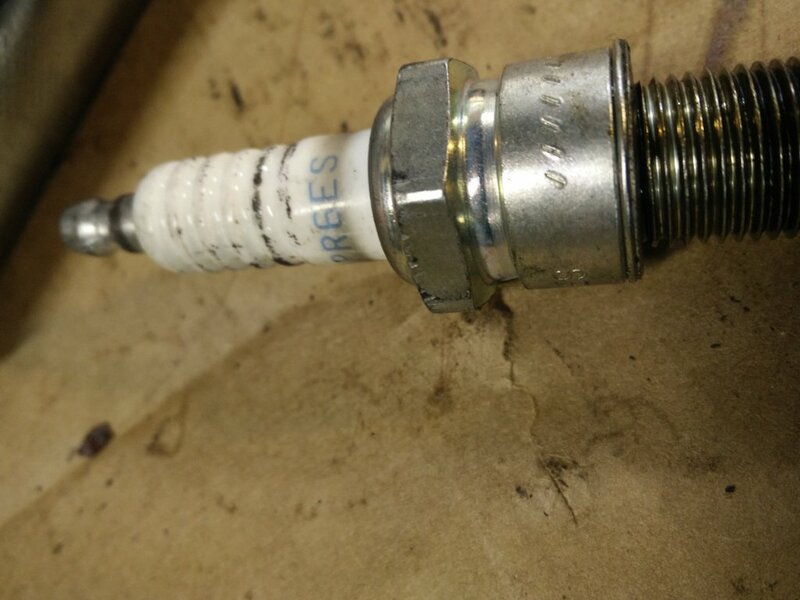 Any of the ceramic insulator missing? Isn’t that kind of warm to be running elevated boost and an hx35? I was always under the impression that at least 1 step colder was probably safe. I'll post some pics of the plug tomorrow. Sniff... Sniff... Snifffff... I think this thread still smells of PNW Troll, but maybe I'm mistaken. And those solid chunks in it are a needle bearing. See this link. And you'll notice the missing piece of top ring. See this link. I also remember when this engine was in my other car, it once or twice 'kicked back' when under boost. Pretty aggressive kick, kinda like if you were to sidestep the gas then get back on it. There's also the chicken&egg question of did knock cause broken chunks that gouged the piston, or did debris cause damage which could then cause follow-on detonation? For the OP, I'm curious what boost you're running, how many miles on the engine, and if you know the piston protrusion&head gasket thickness. so for the entire time I've had the turbo I've kept it at stock (wastegate) boost (22lbs). The engine has 120-130kish miles using the original head gasket. I was going to check for any weird stuff loose upstream (turbo fins) and the throttle butterfly. I remember someone started a thread a while back titled like (Engine blew up, I don't know why) and it turned out to be one of the screws for the butterfly backing out. I've also put the head back on with a new headgasket so I can't get any more pictures other than the ones I've posted. I didn't expect this much feedback but it's all pretty interesting. Regardless of what it was, it's not right and the pistons and head are going to be junk after I get the 16v in. Last edited by LeedomtoFreedom; 12-08-2018 at 09:25 AM..
Haven’t had your coffee yet this morning?? Starting work on the car today. Please hold for plug information. Have to do the ujoints on driveshaft and get the car going again. So the lite blistering in the center of the piston that gets heavier towards the crown is nothing? here you go. Measured .7-.75mm They are brp6s which are probably a step too hot than most would use. Plugs perfectly fine to me.